Cannabis advocates have made tremendous strides at removing the stigma from cannabis. As a result, public support for legalizing is at an all-time high. However public sentiment doesn’t manifest into law without politicians to do the work. At the federal level, cannabis advocates need politicians who are willing to take the lead on cannabis legislation. While many candidates are statistical locks, here are the races which are less certain in their outcome, and how the candidates in those races view cannabis. Below you can find guides for both Congress and Senate races, which we will continue to update as new info emerges. Josh Harder has yet to respond to a request for a comment on his stance regarding cannabis. Jeff Denham has thrice seen bills that would have positively impacted the cannabis community, and thrice he has voted against those bills. Every time a bill has arisen that would benefit cannabis consumers, Rep. Steve Knight has voted against that bill. Katie Hill has not yet responded to a request for a comment about her views on cannabis reform. When asked who on stage supports the legalization of cannabis, Gil Cisneros raised his hand. Young Kim opposed prop 64 in California. 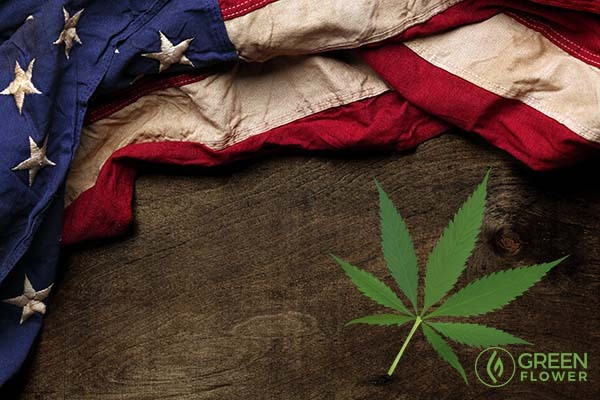 Mimi Walters–when faced with a bill to reduce cannabis possession from a felony to misdemeanor–voted to keep cannabis stigmatized and illegal. When I spoke to Katie Porter's team over email, they told that "Katie supports the will of California voters [and] will fight to make sure the industry is afforded the same privileges and is held to the same account as other businesses when it comes to banking, environmental, and consumer protections." Dana Rohrabacher is a vocal supporter and leader of pro-cannabis legislation, usually under the framework of it being a state issue. Debbie Mucarsel-Powell has yet to respond to a request for comment on legalized cannabis. Carlos Curbelo is a co-sponsor to the Medical Cannabis Research Act, and voiced his disgust over the DOJ getting in the way of cannabis in the United States. Cindy Axne said earlier this year that she supports the idea of federal cannabis decriminalization. David Young is a co-sponsor of Industrial Hemp Farming Act of 2017 and doesn’t object to the idea of cannabis as a medicine, but he doesn’t think cannabis should be legalized. Chief Deputy Chair Whip Peter Roskam voted ‘no’ on a bipartisan cannabis bill. Sean Casten said he would support decriminalization of cannabis and the elimination of the “3 strikes” rule. Every time Mike Bost has seen bills in front of him that would have benefitted cannabis consumers, he has voted against their best interests. Brendan Kelly seemed compassionate to cannabis consumers at a town hall event and is in agreement that cannabis should be removed from schedule I. When asked, Paul Davis criticized Washington’s involvement in cannabis but did not make an endorsement in either direction for cannabis. Kevin Yoder is no friend to cannabis consumers, and he’s endorsed by Smart Approaches to Marijuana, a group opposed to cannabis legalization. Sharice Davids has yet to respond to a request to comment on cannabis reform. When Andy Barr sees a bill that would benefit the cannabis industry, he votes against it. Amy McGrath is calling for the use of medical cannabis and for further study into its use after removal from Schedule I status. Bruce Poliquin once said he doesn’t think cannabis should be decriminalized, but he did vote in favor of several amendments that were pro-cannabis. Jared Golden supports rescheduling cannabis on the federal level and believes reform to be an issue that should be left to the states to decide. Mike Bishop has consistently voted against cannabis reform. Elissa Slotkin supports the use of medical cannabis and said she is open to reviewing how legalized cannabis goes in other states before making any decision on full legalization. Haley Stevens advocates for descheduling cannabis and pardoning past-offenders convicted of non-violent cannabis offenses. She also calls for the end to the War on Drugs. It’s unclear how Lena Epstein feels about cannabis; her silence is deafening in a state that has had medical cannabis for a decade. When Jim Hagedorn was asked by his local CBS station if he supports the legalization of cannabis, he had one word: no. Dan Feehan has not yet responded to our request for comment. Joe Radinovich had a cannabis-related charge dropped against him in his younger years; he currently believes in legalizing cannabis from end-to-end. Mark Harris is not a supporter of cannabis use. It’s uncertain where Dan McCready stands on cannabis. Leonard Lance favors medical cannabis use but does not support legalizing cannabis for adult-use. Tom Malinowski tweeted about his support for Senator Booker’s bill that would legalize cannabis. Yvette Herrell has not supported cannabis reform in the past when votes have come to her desk. Xochitl Torres Small has yet to respond to a request for comment regarding cannabis legalization. John Faso is taking the ‘wait-and-see’ approach to cannabis legalization. As an advocate for criminal justice reform, Antonio Delgado wants addiction to be treated instead of criminalized. It’s unclear where Anthony Brindisi stands on cannabis reform, his campaing has yet to respond to a request for comment. In a 2014 bill that was aimed at benefitting the medical cannabis industry, Claudia Tenney was conspicuously absent. Scott Wallace believes that cannabis should be rescheduled to a Schedule V drug. Brian Fitzpatrick has old-school views on cannabis, believing it to be a gateway to harder drugs. Susan Wild has voiced her support for cannabis decriminaliztion. Marty Nothstein has yet to respond for a request for comment on cannabis legalization. John Culberson has voted against every cannabis reform bill that he has seen. Lizzie Fletcher has yet to respond to a request for comment on cannabis legalization. Pete Sessions supports the War on Drugs, including a War on Cannabis. Colin Allred tweeted criticism of Pete Sessions about his failure to acknowledge that cannabis is a medicine. Ben McAdams has said he supports rescheduling cannabis at the federal level while Mia Love remains undecided. In a recent debate, Leslie Cockburn noted that she supports the decriminalization of cannabis, while Denver Riggleman indicated that he believes the issue should be up to the states and that there has to be some room for common sense cannabis reform, hypothetically. Abigail Spanberger supports the evisceration of the Controlled Substances Act and believes in letting cannabis businesses operate as all other businesses do. David Brat co-sponsors the Industrial Hemp Farming Act, but he has repeatedly voted against cannabis reform in any meaningful way. Lisa Brown believes in protecting voter-approved cannabis and wants to protect the industry from federal interference. Cathy McMorris Rodgers has opposed cannabis legalization in the past. Dino Rossi has criticized cannabis research in the past, claiming it to be a farce. It’s unclear how Kim Schrier views cannabis, she has yet to respond to a request for comment. Other than a vote in favor of veterans having access to cannabis, Martha McSally has consistently voted against cannabis reform. Kyrsten Sinema co-sponsored the Marijuana Business Access to Banking Act. Dianne Feinstein recently signed onto a cannabis reform bill after being a staunch opponent for decades. Kevin De Leon is a staunch supporter of federally legalizing cannabis. Bill Nelson recently filed a bill to help Veterans gain access to medical cannabis, though he has expressed his lack of enthusiasm for legalized cannabis. Rick Scott has repeatedly been against cannabis users, though he signed a bill allowing for medical cannabis in Florida (which banned smoking cannabis). Lucy Brenton is a staunch advocate for the end to cannabis prohibition. Mike Braun has voiced his support for treating cannabis as a freedom-to-choose issue. Jon Donnelly has voted against cannabis reform in the past. Josh Hawley has taken a conservative approach to discussing cannabis, and he has made his position essentially indecipherable. Claire McCaskill has voted against cannabis reform in the past, but has softened her tone more recently and endorses cannabis for medical use. Matt Rosendale appears to endorse the idea that voters should decide the fate of cannabis. Jon Tester has been pushing for the advancement of cannabis research. Jacky Rosen vehemently supports regulating cannabis like alcohol and removing it from Schedule I status. While neither Phil Bredesen nor Marsha Blackburn are staunch supporters of cannabis, Blackburn has indicated her belief that cannabis should be medically available (but has voted against cannabis at every turn), while Bredesen believes it to be a state issue that needs more research. 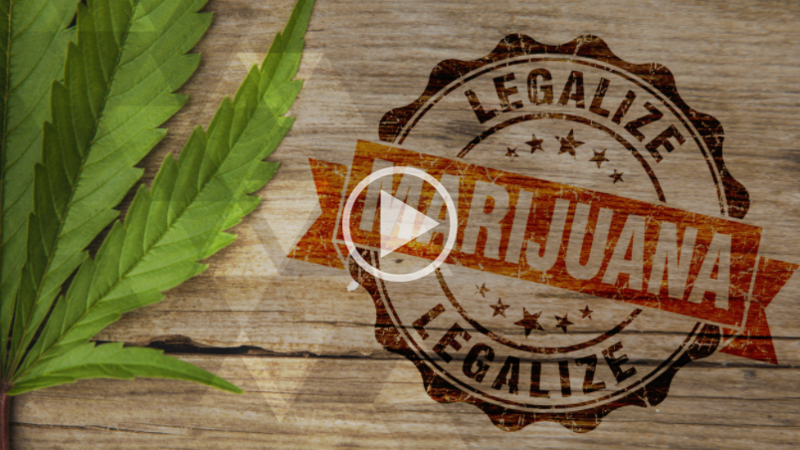 Beto O’Rourke indicated in a video that he supports legalization and regulation. Ted Cruz said he would personally vote against cannabis legalization, but that he would leave it up to states to decide what’s best for them.